Muscle Milk is a great product name but does the brand deliver on its promises? How is this range of protein powders and bodybuilding supplements better than the other products on the market? Let’s take a look at the Muscle Milk nutrition facts and figure out whether the powder is worth a try. Muscle Milk is a brand that makes different types of protein powders, protein bars, healthy snacks and meal replacements. Depending on the type of Muscle Milk product being chosen, there will be some variation in ingredients. Usually, the formulas are enriched further with vitamins and minerals to offer comprehensive nutrition to bodybuilders and active exercisers. Muscle Milk supplements can be used to accomplish an array of fitness goals. These products are ideal for lean muscle mass accumulation, faster recovery after intense workout sessions, more energy during exercise and a stamina boost. Let’s examine some of the most popular Muscle Milk products to find out more about their nutritional value. The protein powders usually contain about 32 grams of protein per serving, which is high and perfect for individuals interested in noticeable lean muscle mass accumulation. The sources of protein typically used by the company include calcium and sodium caseinate, whey protein isolate/hydrolysate, whey protein concentrate, taurine and l-glutamine. A few of the other ingredients found in the Muscle Milk protein powders include sunflower oil, natural flavors, maltodextrin, medium chain triglycerides and soy (not present in all of the Muscle Milk products). Depending on the product’s flavor, there could be some variation in ingredients. The chocolate-flavored protein powder, for example, contains cocoa. One of the other protein powders is enriched with chocolate cookie pieces. The company makes other health products apart from proteins. The Muscle Milk protein crunch bar and the snack bars made by the company are a source of whey protein isolate, soy protein isolate, milk protein isolate, tapioca, peanuts, cocoa and unsweetened chocolate. The bars are a source of 15 grams or 30 grams (in the case of the Cytosport Muscle Milk Protein Crunch Bar) of protein per serving. Finally, the company has developed a product called Cytosport Muscle Milk. The protein formula comes in the form of a liquid and a single serving of 17 ounces contains 34 grams of protein. Further, the formula of the milk is enriched with fiber, vitamins A, C, D and E, folate, biotin, pantothenic acid, calcium, iron, phosphorus, iodine, copper, zinc and potassium. Are Muscle Milk Products Worth a Try? As you can see, there’s a wide range of Muscle Milk products to try. They feature specific sources of protein and additional ingredients aimed at enriching the formula. Some people have complaints about the artificial sweeteners found in the Muscle Milk powders and snack bars. Reviewers report that these contribute to an excessively sweet taste – an issue that has turned some people away from these supplements. Other than the issue with the sweetness of the powders and the protein bars, there isn’t an awful lot of negative things to say about the brand. Muscle Milk is a source of natural ingredients and amino acids that the body needs to build muscle tissue. The concentrations are much higher than the ones found in natural foods like milk, eggs or meat. This is the main reason why protein powders and snacks get the job done much more effectively. Needless to say, a protein powder like the options developed by Muscle Milk should be a part of a balanced diet. 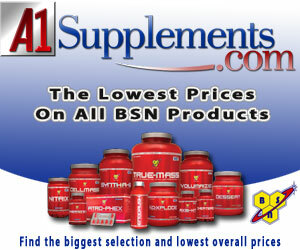 You can’t rely on the supplement alone for comprehensive and satisfactory nutrition. Also, there’s no evidence that protein powders or snacks can enhance weight loss efforts in the absence of diet and lifestyle changes. The bottom line is that Muscle Milk powders and snacks do work. There’s a lot of information about the products online and it’s also easy to come across positive customer reviews. The good thing about these products is that they have a high nutritional value and they’re based on natural sources of protein. If you don’t have an issue with artificial sweeteners and the sources of protein are considered satisfactory, you’ll definitely enjoy what Muscle Milk has to bring to the table.